HP’s ProBook range has been successfully infiltrating the “affordable business notebook” market since 2009, so it’s high time for another design and CPU shakeup. The HP ProBook range is introducing the 430, 440, 455 and 470 which leap in screen size from 13.3” to 17.3 and most are shipping this month. The new range of laptops is also up to 36% thinner than the older models. The odd man out is the 430, which ships in July. The refreshed ProBook range share loads of similarities. Every new ProBook has a 1366×768 (HD) screen, with the exception of a 1600×900 screen on the 17” model. There are no touch screens in the range, and each screen is a matte display. That’s typical of a business laptop, as matte displays are the least reflective. All ProBooks now have a hybrid hard drive, which is to say a combination of HDD and SSD. The 430 though, has the option to go full SSD. It will also come sans DVD drive, if you want it to. 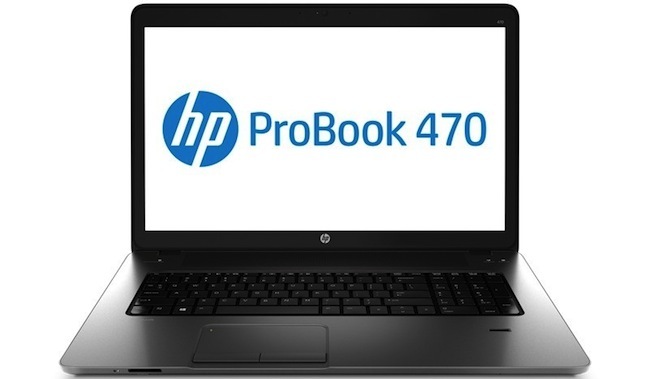 Going with the new tradition of keeping it lighter and thinner, all ProBooks have the option of removing the DVD drive with a weight replacing the gap in the laptop. From what we know about new HP ProBook range, it’ll have an extensive battery life and come bundled with Windows 8. A lack of touchscreen is really going to hurt the thinner-looking ProBook range though.